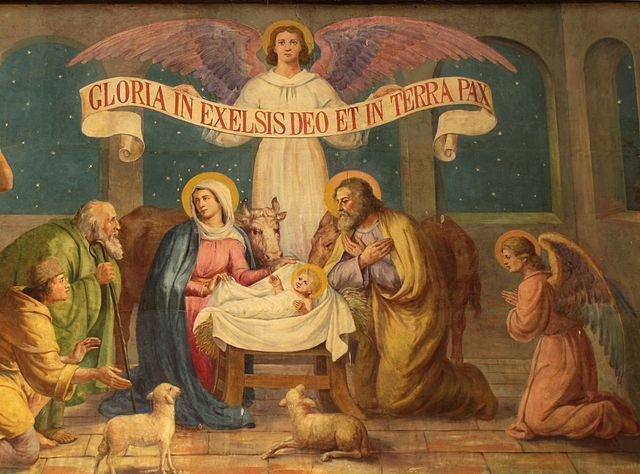 This coming Wednesday we will celebrate the birth of Christ, the embodiment of God in human flesh. God, the maker of all things visible and invisible will take on a human body, that which after the angles is most like God the creator: “Let us make man in our image, after our likeness” (Genesis 1:26). This likeness with God is not a corporal likeness, but a likeness endowed with freewill and incorruptibly, a likeness of the soul. For this reason humans enjoy a special dignity that is not forsaken because of Adam’s fall from grace or our concupiscence. Rather, as Paul encourages us, “press on toward the goal for the prize of the upward call of God in Christ Jesus” (Philippians 3:14), subjecting ourselves to God and obeying and serving Him in all. This entry was posted in Essays, Meditations On Biblical Verses and tagged Adam’s Fall, Christmas, Concupiscence, Dignity, Genesis 1:26, God in Human Flesh, Human Dignity, Let Us Make Man in Our Image, Likeness with God, Maker of Things Visible and Invisible, Nativity, Philippians 3:14. Bookmark the permalink. Thank you Seeker and may you and your family have a Blessed Christmas. This is something I didn’t understand until far too late. It would have made such a difference in the way I understood the world. Thank you Kathleen and you and your family have Blessed Christmas.